Only CoverEdge™ netwrap extends over the bale’s edge like a hairnet to protect a full 15 percent more surface area. This prevents moisture from being drawn up into the bale. As a result, you get better protection from rain and ground moisture, less leaf loss and better shaped bales. Why netwrap? A cheaper roll is likely to have less quality, less length and be unable to offer edge-to-edge crop protection. 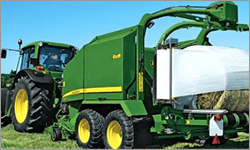 John Deere CoverEdge™ netwrap protects the entire rounded surface of the bale as well as the bale's edge. Alternatively you can choose the twin arm tying system. The double twine arm speeds up wrapping time and increases round baler productivity. The enduring popularity of the MF 5400 Series has received a considerable boost with the introduction of a range of enhancements. These aim to provide users with more power, improved performance and a more modern appearance, but maintaining the 5400 Series’ reputation for simplicity of operation, reliability and ease of maintenance. The four new models introduced in 2011, feature a brand new, sophisticated design. These tough and versatile workhorses are desgined and built to handle the most challenging tasks. The new Puma Series tractors are all about efficiency. With four models, ranging from 135 to 180 PTO horsepower, Puma tractors provide the right size and power for a wide variety of crop and livestock operations. 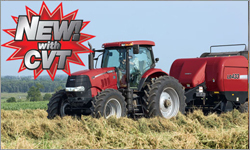 Whether it’s spring or fall row crop work, or pulling sprayers and large hay tools during the summer, the Puma tractors’ outstanding weight-to-horsepower ratio delivers the precise power you need for peak efficiency and fuel economy. 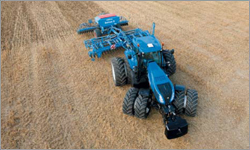 New Holland DNA runs through every aspect of the new T8 Series, which means you'll notice a number of unique farm-raised features that make you and your operation more productive. Power, fuel efficiency, stability and maneuverability and all rolled into this one of a kind line. 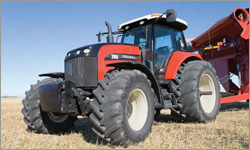 There's no need to compromise when you own a T8 Series Tractor. 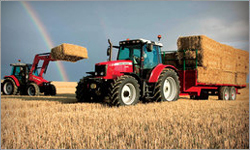 The Versatile 250 and 280 are industry leading, full features tractors with more than 15 years of field proven performance. Available with 250 or 280 hp, the Versatile 250 and 280 are powered by Cummins QSC 8.3L engine that delivers a combination of power and performance. The Cummins QSC engine is matched to a smooth shifting powershift transmission that has 18 forward and 9 reverse speeds with operator programmable features designed to match your work requirements. Finger tip electro-hydraulics with the optional HydraFlow Plus package deliver 55GPM to meet the demands of modern implements. 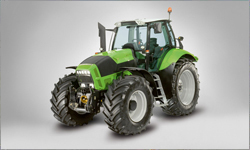 Fendt presents a completely newly developed, groundbreaking electronics concept: the Fendt Variotronic. The new Varioterminal has been optimally adapted to the Vario and offers more functionality and convenience than ever before. Fully integrated in the control concept, the new Varioterminal unites all functions in one. Strong, powerful and packed with features - that's the Iseki TG range of compact tractors. Boasting typical Iseki build qualities that provide plenty of power to work hard, all day, every day. The TG Series provides several options to suit your business and personal needs. Choose from 33hp, 39hp, 47hp and 60hp models, choose between hydrostatic or power shuttle transmissions, choose between agricultural or turf tyres - whatever the choice you make, make sure you choose Iseki. 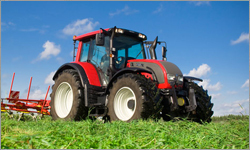 Gone are the days when the role of a tractor is to simply pull an implement or operate a loader. Today’s progressive growers and managers need a machine that can also improve efficiency, boost productivity and aid in management, whether it’s used on the farm, the construction job site or the municipal grounds. 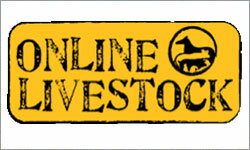 Bottom line…it should help improve profitability. 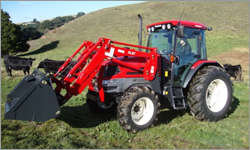 On the other hand, today’s fast-paced workload still calls for a mid-sized tractor with the power to handle a wide variety of jobs and the comfort to enhance operator productivity. Throw in a longing for the best dealer support in the industry and there’s only one name left…Challenger. 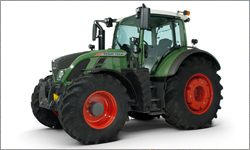 The Valtra N is a new kind of tractor that combines the very best of performance and specifications in a balanced and functional package. 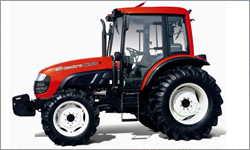 The N Series offers a variety of hydraulic and transmission options with its HiTech, Versu and Direct model variants. 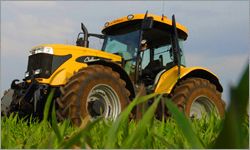 The N Series embodies Valtra's manufacturing philosophy. All primary modules are designed and built in-house. This includes the engine, chassis, transmission, powertrain, rear axle, hydraulics, cab and cladding. Our suppliers are internationally recognised leaders in their fields. The EG907 is designed to give maximum efficiency and control, allowing the operator to concentrate on the job at hand. The TNV engine controls fuel consumption at 1/100-second increments and features a mono-plunger (MP4) fuel injection pump, four valve intake/exhaust and central injection. 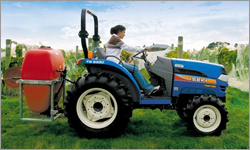 Dual Mode Control for high rpm needs such as rotary tiller work, and low rpm needs like spraying, ensures stable power output even under sudden load increase, drawing maximum performance from the tractor. The DK series are designed for serious farming. With a 100 liter fuel tank and a fuel efficient engine, the DK is able to work a long time between fuel breaks. Equipped with hydrostatic power steering, the DK has smooth responsive steering that requires minimal operator effort regardless of the task at hand. The DK range comes standard with a deluxe cabin which includes a/c and heating, front and rear wipers, and cd radio. KIOTI deluxe cabin gives the owner luxury and pleasant work environment. Furthermore, a flat deck maximizes the convenience.